Benjamin Mako Hill (previously) collaborated with colleagues involved in critical technology studies to write a textbook chapter analyzing the use of computational methods in social science and providing advice for social scientists who want to delve into data-based social science. Their chapter is open access, and starts with a history of modern data-driven social science research, from its early days in social network analysis to the contemporary world of consumer analysis and public health research. But the chapter primarily serves as a tutorial for using data methods with in your own social science research, with extensive code examples and practical advice. You're invited to improve the paper and check your changes into the Github repo for it. Data from social media platforms and online communities have fueled the growth of computational social science. In this chapter, we use computational analysis to characterize the state of research on social media and demonstrate the utility of such methods. First, we discuss how to obtain datasets from the APIs published by many social media platforms. Then, we perform some of the most widely used computational analyses on a dataset of social media scholarship we extract from the Scopus bibliographic database’s API. We apply three methods: network analysis, topic modeling using latent Dirichlet allocation, and statistical prediction using machine learning. For each technique, we explain the method and demonstrate how it can be used to draw insights from our dataset. 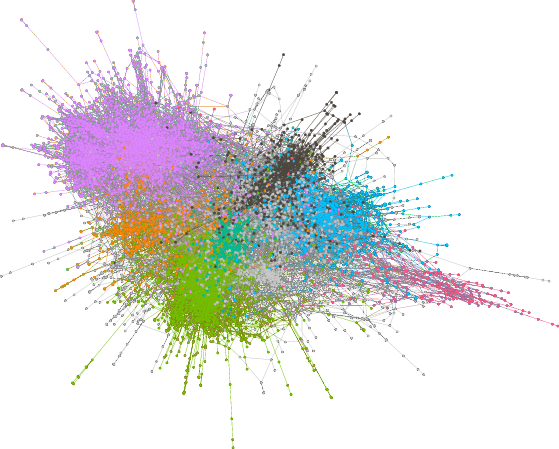 Our analyses reveal overlapping scholarly communities studying social media. We find that early social me- dia research applied social network analysis and quantitative methods, but the most cited and influential work has come from marketing and medical research. We also find that publication venue and, to a lesser degree, textual features of papers explain the largest variation in incoming citations. We conclude with some consideration of the limitations of computational research and future directions.